Zimbabweans marked Robert Mugabe's 94th birthday on Wednesday with an official day off, but without the extravagant cakes and fawning tributes that defined February 21 for much of his 37-year rule. 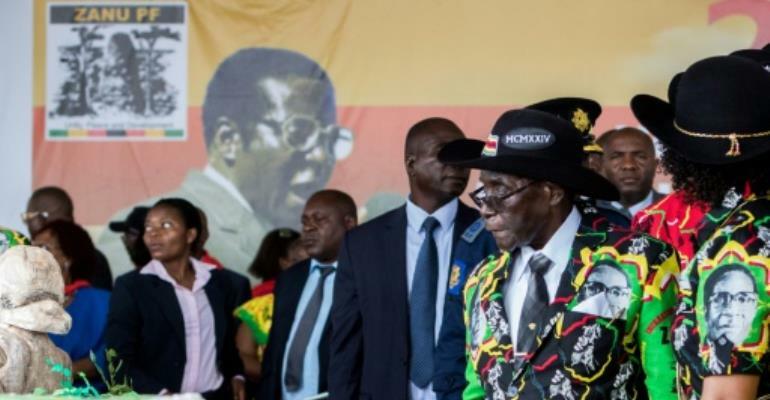 As president, Mugabe typically celebrated with a rambling speech while wearing a suit decorated with images of his own face at a party that included a lavish feast. But following his ousting in November after a brief military takeover, this year's festivities were restrained. Other than a solitary editorial proclaiming the former head of state's big day in the government-run Herald newspaper, there was little in the way of official fanfare. None of the ministries and agencies that previously clamoured to mark the day even acknowledged it this year, and the flurry of tributes that filled newspaper pull-outs each year was also absent. While government offices and schools were closed for the first annual "Robert Mugabe National Youth Day" -- declared a week after his forced resignation on November 21 -- much civilian life continued as normal. "It's a day we treasure and we revere the former president," Simon Khaya Moyo, spokesman of the ruling ZANU-PF party, told local media. 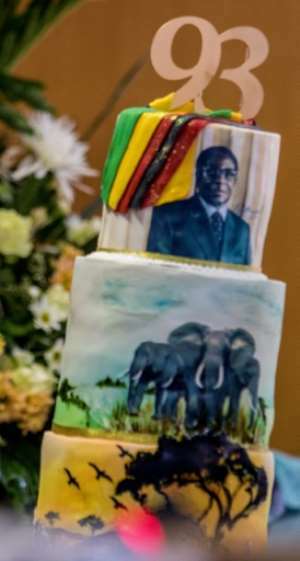 "The party will send its best wishes and a cake," added Moyo, whose party switched allegiances from Mugabe to President Emmerson Mnangagwa during last year's take-over. Mugabe, whose authoritarian rule drove Zimbabwe into economic ruin, has not made any public appearances following his abrupt ousting. But a close ally told AFP that the nonagenarian was in good health and looking forward to his birthday. "He is well and resting and ready to celebrate his birthday," said former central bank chief Gideon Gono. "He is going about his business and going to his farm, contrary to what was being said." Gono said he had visited Mugabe at his upmarket home in Harare's Borrowdale suburb over the weekend. Mugabe said "it is not time to speak to the press", according to Gono. Father Fidelis Mukonori, the Jesuit priest who mediated the negotiations that persuaded Mugabe to finally step down, told AFP the former leader was "fine and fit". "He is still in his suits. He still dresses well, looks smart," he told local media. Mugabe had ruled Zimbabwe since independence from British colonial rule in 1980 and his birthday was declared a national holiday on the recommendation of ZANU-PF. 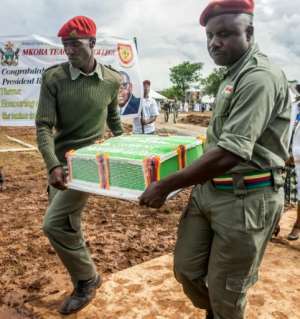 Among the excesses of Mugabe's previous celebrations were vast birthday cakes -- even as food shortages affected millions of Zimbabweans. 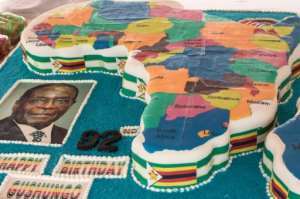 The biggest cake each year was said to weigh the same number of kilogrammes as Mugabe's age. It took several men to carry it into the marquee. This week, Mugabe appeared in photographs standing with his wife Grace and the new African Union Commission chairman Moussa Faki Mahamat in Harare. The photographs were the first of the couple since the president resigned. In a briefing to reporters Mahamat said Mugabe told him he stepped down "for peace and development of the country."